A level Spanish is taught at Bishop Challoner School and provides pupils with the cultural knowledge and linguistic competence to succeed. Pupils who opt to take Spanish will follow the AQA course. The A2 Spanish course consists of two papers (Listening, Reading & Writing and an Oral Examination). A2 topics are: The Multicultural Society, Contemporary Social Issues and The Environment. Two cultural topics are studied in more detail and depth with a view to speaking about one in the oral examination and writing about one in the form of an essay of at least 250 words. Pupils practice all skill areas as well as their exam technique to prepare them for the final examinations in the summer. This specification has been designed to be studied over two years. The approach is a focus on how Spanish-speaking society has been shaped socially and culturally and how it continues to change. In the first year, aspects of the social context are studied, together with aspects of the artistic life of Spanish-speaking countries. In the second year further aspects of the social background are covered, this time focusing on matters associated with multiculturalism. Students also study aspects of the political landscape. This course is beneficial for students who wish to progress to employment or to further study, including a modern languages degree. Careers in teaching, business, interpreting and translation are just some of the fields that language students can enter. An A level in a language is an invaluable qualification that can open many doors in the future. Language skills are well sought after by employers in many areas of work. 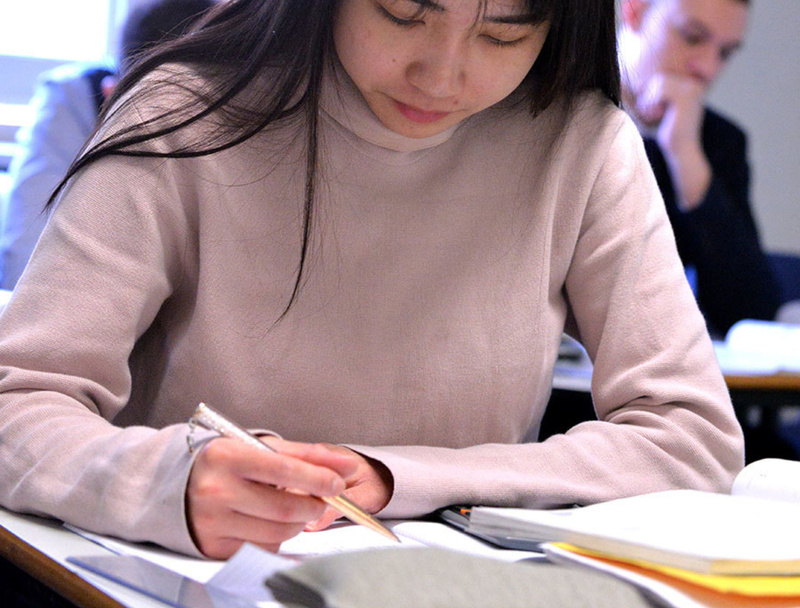 A language qualification can be a great asset when applying to universities. Students also study either one book and one film or two books from the recommended lists. They appreciate, analyse and respond critically in writing in Spanish to the work they have studied. This includes a critical appreciation of the concepts and issues covered and an analytical response (For example, the effect of narrative voice in a prose text or camera-work in a film). The choice of literary texts and films offers opportunities to link with course themes. For example, the play La casa de Bernarda Alba could be linked to the sub-theme Modern and traditional values, while the film Volver could be connected to the sub-theme Equal rights.